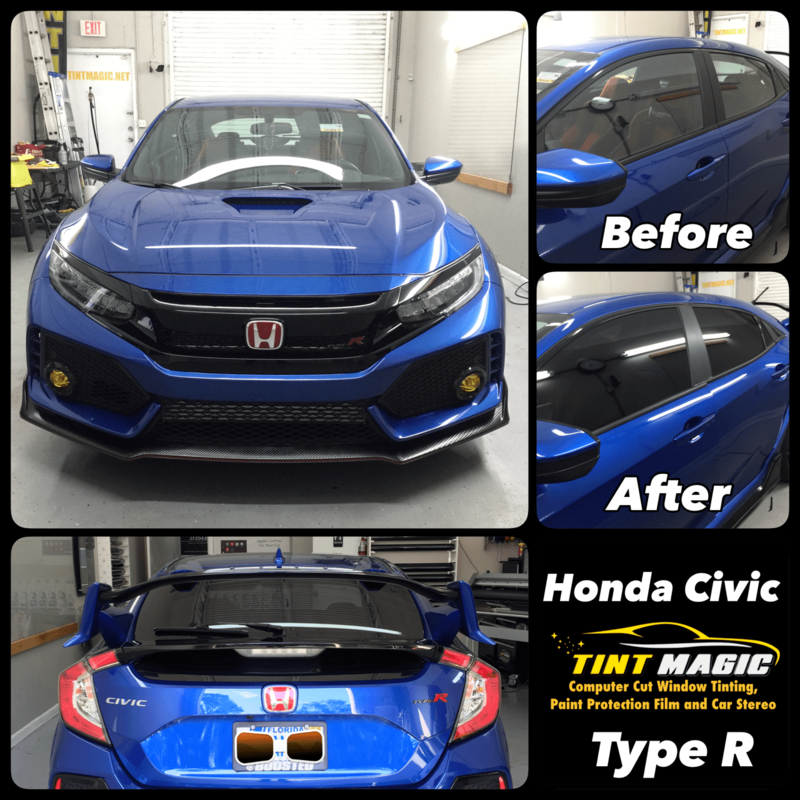 Honda Civic Type R Window Tint at Tint Magic Window Tinting Coral Springs. We have applied Carbon 18% all over the windows for the best privacy and up to 99% UV rejection. Call us for a free estimate! (954) 840-7883. We are located at 11344 Wilesd Road Coral Springs, Fl 33076. The Type R has taken the States by storm, with its amazing mix of performance and poise earning it a spot on our 2018 10Best Cars list. The lone powertrain is a turbo 2.0-liter inline-four that funnels 306 hp to the front wheels via a six-speed manual gearbox. A front-strut suspension—Honda calls it Dual Axis—eliminates the torque steer normally associated with high-powered front-drive vehicles. Navigation, Apple CarPlay, Android Auto, and a 540-watt 12-speaker stereo are all standard. The aluminum shift ball atop the Type R’s standard six-speed manual transaxle is a close reach from the leather-wrapped steering wheel. It is as rewarding to snick through the shifter’s gates as it is easy to burn your hand on after the car has been sitting outside on a sunny day.